48.5% of 64-year-olds with diabetes have 3 or more comorbidities and physical limitations--less than 10% have none. 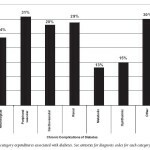 Silver Book48.5% of 64-year-olds with diabetes have 3 or more comorbidities and physical limitations–less than 10% have none. 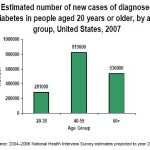 48.5% of 64-year-olds with diabetes have 3 or more comorbidities and physical limitations–less than 10% have none.